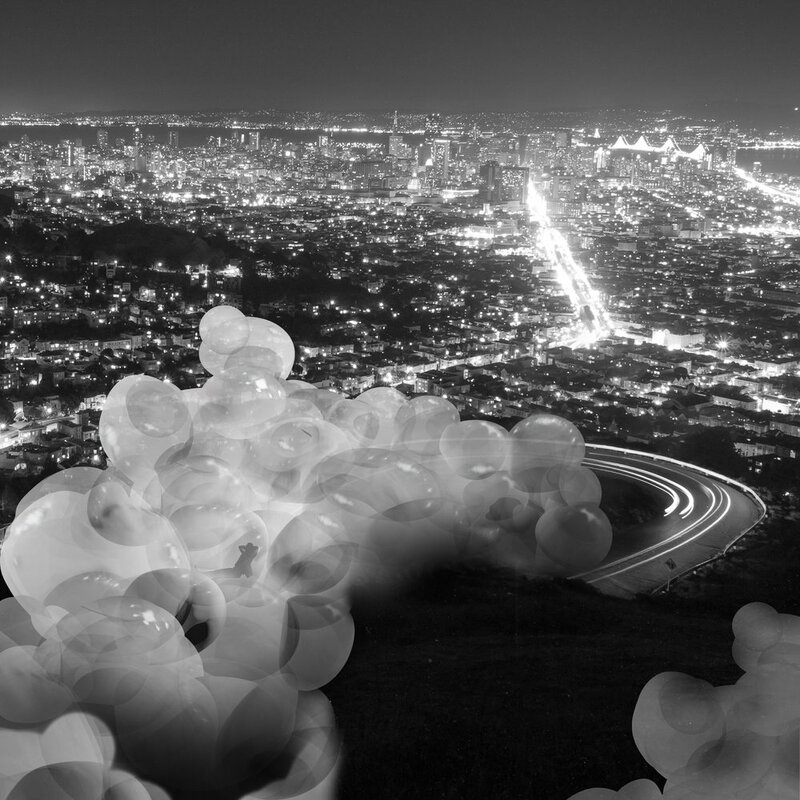 Our project is an agglomeration of pneumatic structures that spatially invades the entire city of San Francisco. 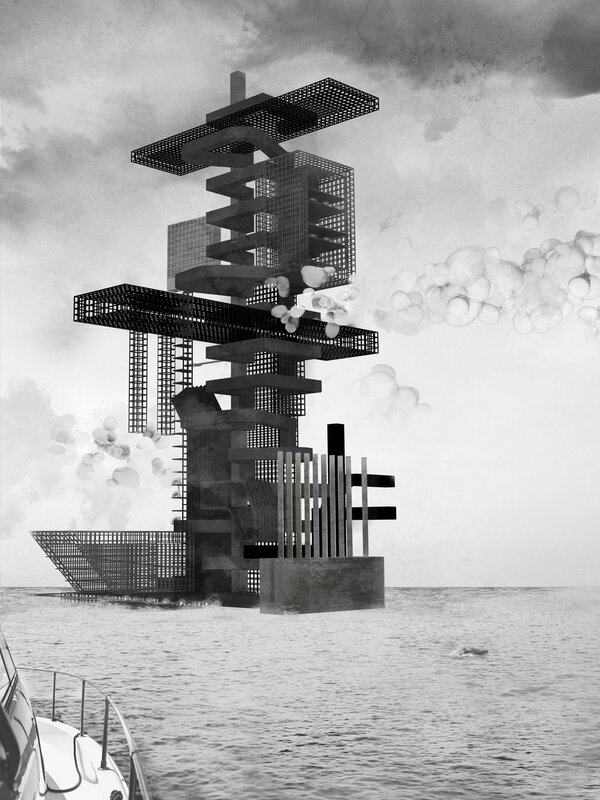 The architecture parallels perceptual conditions of fog - confusion, spatial disorientation, and blurred boundaries. It instrumentalizes these conditions to spatially confront everyone, impeding all functions in the city, and enabling imagination in our current oppressive era. The logics that govern our contemporary society force a singular vision of the world and attempt to stifle all imagination of any alternative. These same logics produce systemic violences like total environmental degradation, complete financialization, or the promise of a good life, resulting in corporations like AirBnb, Uber, or Amazon that feed and profit on aspects of normal, everyday life. We find these practices to be unethical and unsustainable. Our architecture seeks to provide a space that will allow and enable new imaginaries to be had, a space not controlled by these logics, a space to resist. Throughout the semester, our research and design goal has been to explore how space and atmosphere can be architecturalized and instrumentalized in exploratory forms. This has been actualized through our series of pneumatic explorations, atmospheric drawing studies, and research into economies and counter-culture. Production of vagueness and softness, coming from our study of the fog, concurrent with our research into the narrative of Lauren Berlant’s Cruel Optimism and her concept of the Impasse—a mental space characterized by a continual search for meaning after the complete loss of what gave stability to the occupant’s life—led us to seek a confrontation that produced this effect throughout all of San Francisco. 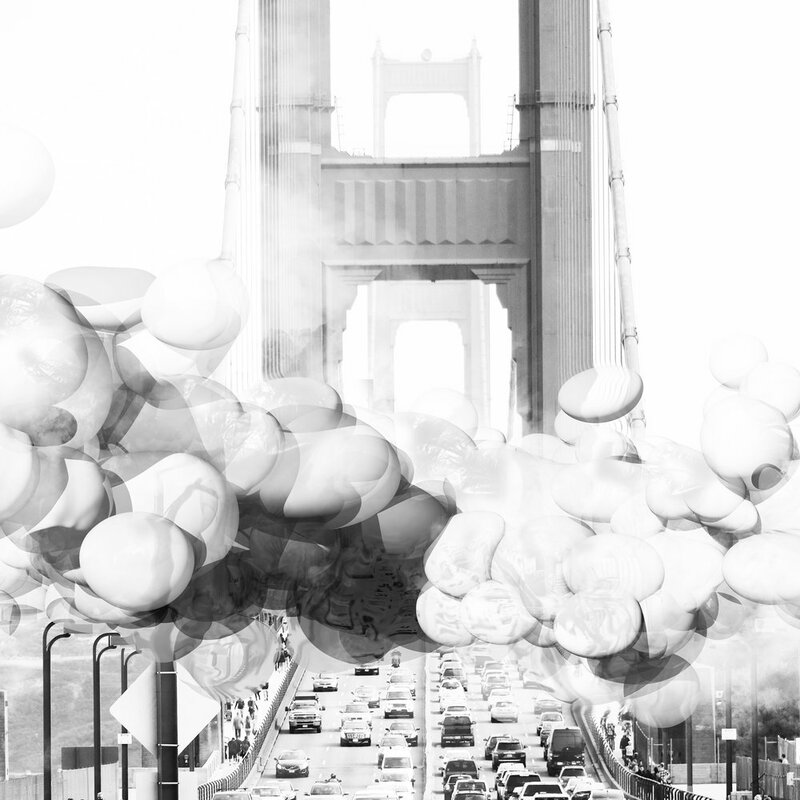 Being surrounded by San Francisco’s fog perfectly produces that defining hyperawareness and disorientation, which our proposal takes as a site and a governing logic. Our architecture begins to invade the city concurrently with the fog. Pneumatics are produced by the Factory (a structure located in the Pacific) from plastic ocean garbage, transforming the waste into double-walled membranes which are then embedded with technological and environmental control systems before being super-pressurized and launched into the atmosphere. The pneumatics strategically rearrange their pathways to respond to needs present within, relying on the technology to carry out its spatial intentions and revolutionary phenomena.